I went overboard trying to help everyone else and my mental health suffered. I'm learning when to put myself out there and when to take time for myself. I’m the type of person who wants to help everyone. Many times in my life I have been in a situation where I could have done with some help and sometimes I got it, but other times I didn’t. The times when I didn’t get that help built a deep need within me to try and help everyone I possibly could; to become the person I once needed. So, I volunteer for local projects when I can. I try my best to be a good daughter by attempting to be patient and understanding. I do what I can to be a good friend; ensuring that I’m there when anybody needs me. I struggle with knowing that I could have helped someone and didn’t. When I see a homeless person and don’t offer them food; I think about it all night. I even feel awful when I ignore someone handing out leaflets. Every time a new opportunity arises, I find myself agreeing to help, even if I don’t have the time or energy. Then I’ll spend the rest of the day thinking up reasons to cancel and hating myself for it. My mum says I’m too sensitive, I don’t disagree. Earlier in the year, I went really overboard trying to be the best version of myself. I signed up to help at multiple events and was constantly out of the house spending time with others. At home, instead of taking the time to recharge, I spent time with family. I thought that this was what I was supposed to be doing. I truly believed that keeping to myself was unhealthy and contributing to my mental health issues. I’m only human and I’m an introvert by nature, so spending long periods of time with people exhausts me. I also suffer from depression which means being supportive and ‘on’ all the time drains me both mentally and physically. Trying too hard to be the best, most helpful person I could be overwhelmed me. I was unable to leave the house for a few weeks because I just had no energy left. The thought of having to be around people caused me to have panic attacks. It was then that I realized how important self-care is. I’m coming to terms with the fact that I can’t physically help everyone. I’m just one person and I’m not always mentally stable myself; most days leaving the house takes an extraordinary amount of effort. So maybe it is selfish of me, but I am learning to do what I’ve spent most of my life believing shouldn’t be done. I’m learning to put myself first. I can’t always be the best daughter/friend/person. I’m nowhere near perfect. But I’m no help to anyone when I’m in a state where I cannot leave the house. It’s great to put others first but they won’t always think to be as helpful or considerate. You are the only one who can put yourself first. It’s so easy to get carried away with what you think is expected of you. 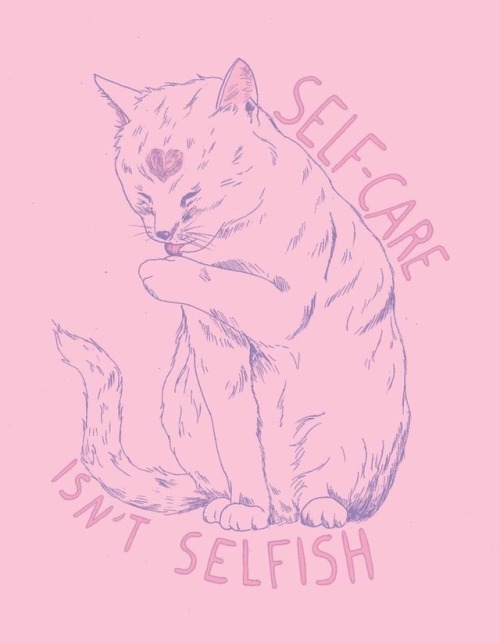 But self-care is so important. I’m learning to only bite off what I can chew. When the thought of being around people causes too much panic, I will no longer force myself to do so. If I volunteer once a week, I will make sure that I have one day that is also entirely for myself. This doesn’t mean that I stop helping others. It means I’m learning when to put myself out there and when to take some time for myself. Everyone tells you being an adult is easy, but what if that’s a lie?